BSTC Application Form 2017 2018: Maharshi Dayanand Saraswati University (MDSU), Ajmer has going to conduct the BSTC entrance exam 2017 for the eligible candidates. The applicants who are want to get the admission for the Teacher Training Course (D.El.Ed.) like general & Sanskrit in Rajasthan can apply the BSTC Online Application 2017. The Maharshi Dayanand Saraswati University has been announced the Rajasthan BSTC notification 2017 on the official site. The candidates must check the eligibility criteria before apply the MSDSU BSTC entrance examination through online mode. Our result.indrajobinfo.co.in site has provide the complete information regarding the BSTC entrance exam application. Organized By: Maharshi Dayanand Saraswati University. Exam Name: Basic School Teacher Course Exam 2017. Content Search: MDSU BSTC Entrance Exam 2017. 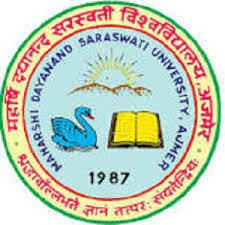 The Maharshi Dayanand Saraswati University (MDSU) has been organized the entrance exam for the eligible applicants on every year. This year also going to conduct the BSTC entrance exam 2017. The candidates can apply the BSTC 2017 online application 2017 at the official site bstcmdsu2017.com. We provide the guidelines for the candidates how to apply the Rajasthan BSTC application form 2017. So the applicants can follows the given steps to apply the BSTC 2017 entrance exam. Candidates are advised to keep watching our Indrajobinfo.co.in site for latest entrance exam related news. The applicants who complete the 12th/HSC/Intermediate with 50% (minimum) & 45% (reserved candidates) from a recognized board of the school/institute can eligible to apply the BSTC 2017 online application. The applicants should have an age limit not exceed 28 years. Refer the BSTC 2017 notification for more details. Aspirants need to pay the application fee details given. For solitary courses: Rs. 350/-. Save the hard copy for further use. MDSU BSTC Apply Online 2017.